Live on stage! 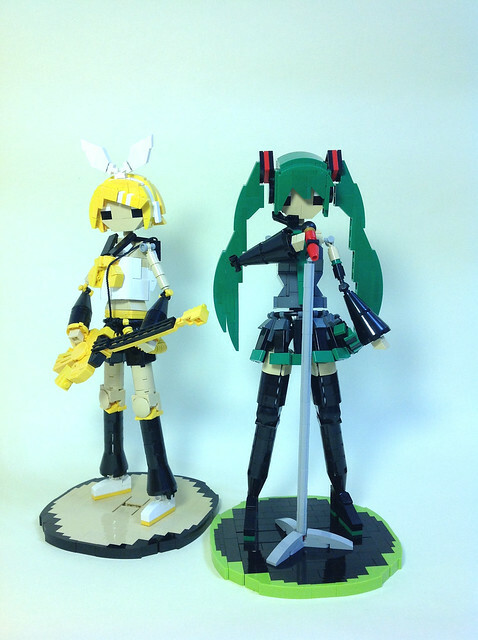 If you're into synthetic Japanese singers recreated in plastic, this post is for you. I just like well done characters, and these fit the bill. I especially like the proportions of the singer, the huge sleeves juxtaposed with the tiny arms are very iconic. The posing on both of these MOCs is great as well.